Salisbury is full of surprises. I suspect that many people don’t consider it as a destination because it’s found in the middle of Wiltshire, not a far away location. 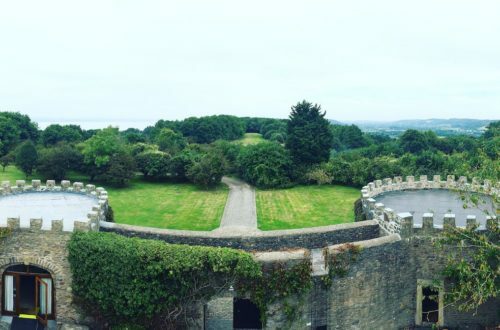 As I didn’t grow up here in the UK, I’m really appreciative of the amazing places around this part of the country – sadly, something I’ve not done in my own country (I’ll be remedying that whenever I get back!). 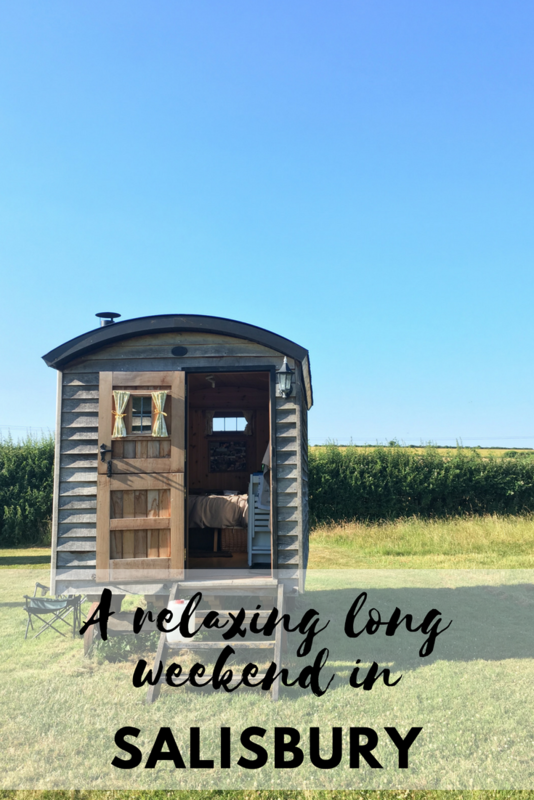 I wanted to put together some ideas for a holiday in your own ‘backyard’ (we’re pretty passionate about travelling local here at Ladies What Travel), so you could enjoy Salisbury as much as I did. While there are a some great options in and around Salisbury, I recently stayed at Marshwood Farm and it was gorgeous. 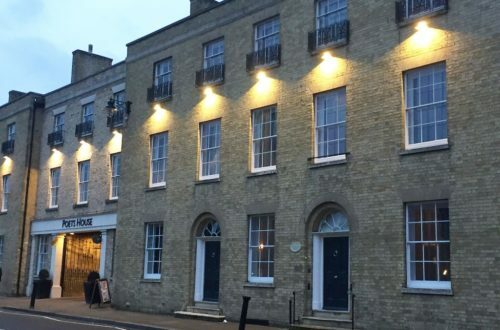 It’s a small B&B about 20 minutes away from the centre of Salisbury, but I’m not here to tell you about a room in a historic house (though, that exists! ), I want to share with you the Shepherd’s Hut, where you’ll be glamping in style. 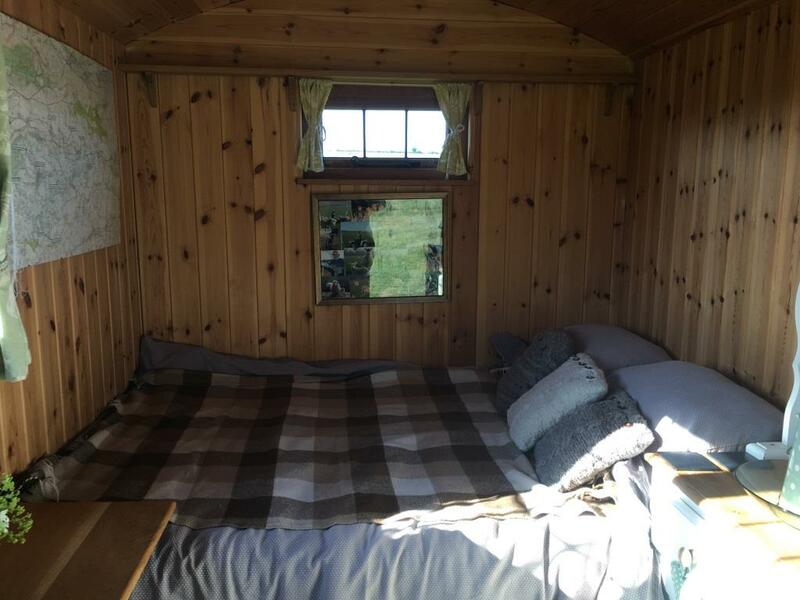 Owners Fiona and Mark will warmly welcome you to Marshwood Farm B&B, which is actually a working farm – they have various crops and a herd of sheep who roam over 500 acres. As I sat with my morning tea, I watched the sheep being herded to the barn for their breakfast – it was such a cool experience, I found myself mentally preparing to go back next year during lambing season to see newborn lambs. Fiona and Mark are absolutely lovely and so warm, I know they would be happy to show you their farm and introduce you to their woolly residents. It’s so tranquil in the fields, you can’t help but feel relaxed. If it’s cold, you can light a fire and snuggle up, but if it’s not you can sit outside and appreciate your surroundings. I even fired up my trusty stargazing app and worked out that I could see Jupiter, Saturn and Mars, as well as a huge number of constellations. It was a beautiful experience. Regular glampers will know that this style of accommodation will include an outdoor toilet and shower. 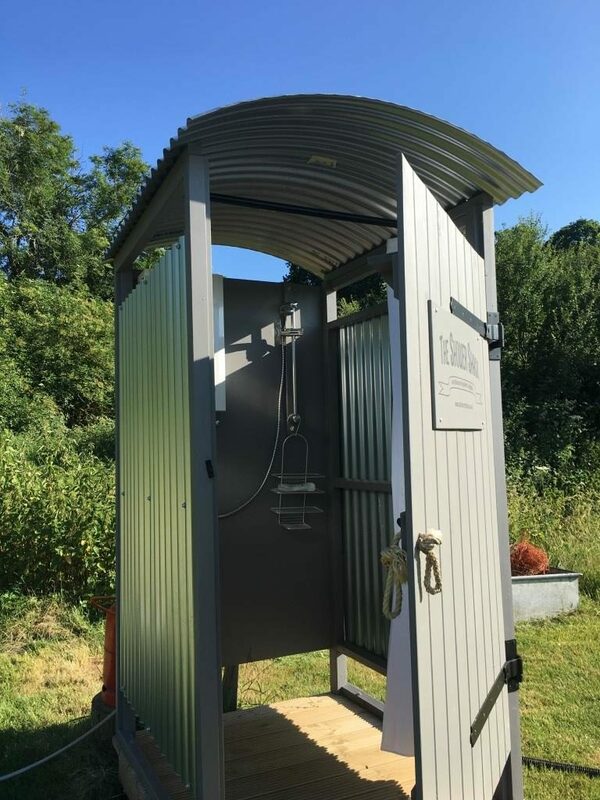 At Marshwood, their sweet little ‘outhouse’ is clean and environmentally friendly. Their shower requires a little walk, but the water’s hot and the pressure is good. It’s all you really need after a relaxing sleep. 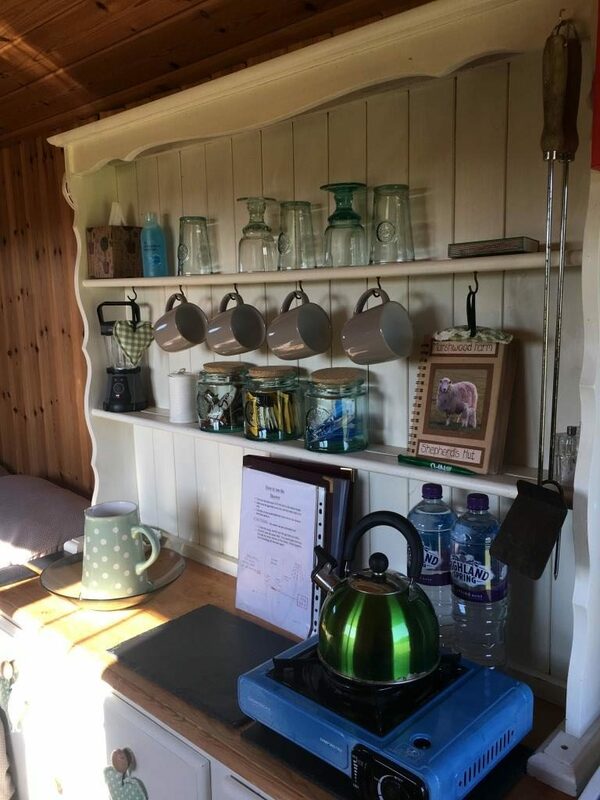 Breakfast is available as either full English at the house or as continental with freshly cooked pastries and homemade preserves, delivered to you at the hut. I’m not much of a morning person, so I took the delivery option and sat in the morning sun enjoying my meal. 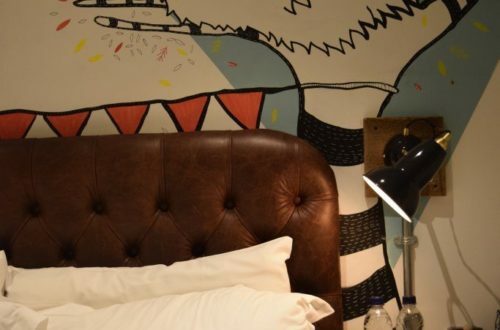 By the way, when you arrive you’ll be provided with milk for tea and coffee, and homemade shortbread that you’ll be thinking about for the rest of your stay. I really enjoyed my stay at Marshwood and I definitely want to return for lambing season next year (and maybe the year after because I love lambs!). However, it’s beautiful all year round as evidenced by my summer visit. Take a look at their website to see what you’ll be in for and to make a booking. 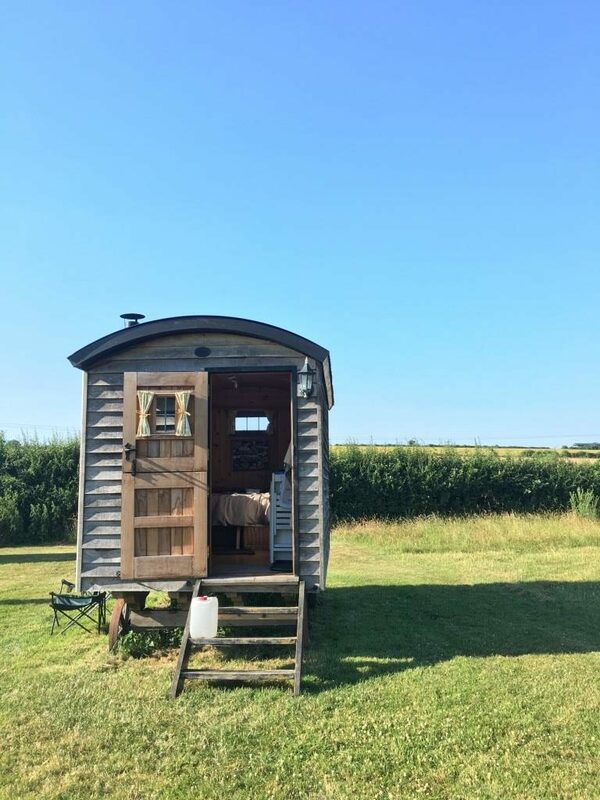 Staying in the Shepherd’s Hut is for a minimum of two nights starting at £140. What else can you do in Salisbury? 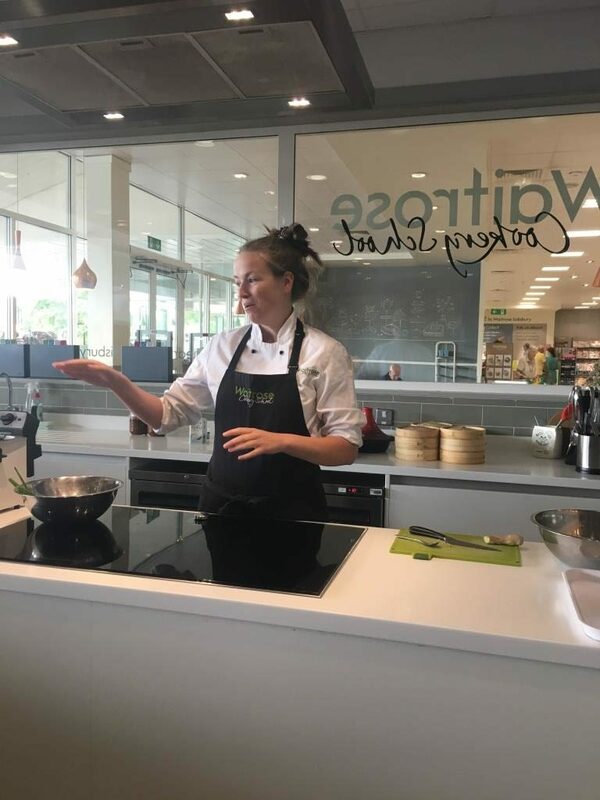 I find cooking is one of the most relaxing activities, so I was super excited to be invited to visit the Waitrose Cookery School in Salisbury for a Korean food masterclass. 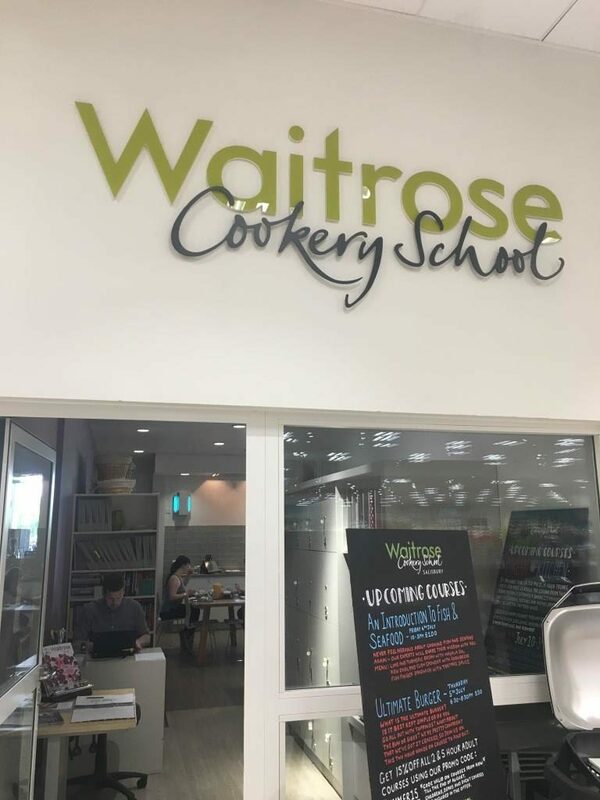 As a starting point, I didn’t even know that some Waitrose stores have cooking schools attached! It’s a brilliant idea and provides you with access to all the great food Waitrose has available. We were greeted by the school manager and two young (and I would later find out, passionate) chefs, and sat down to a light breakfast of freshly cooked pastries, juice, yoghurt and a berry compote. 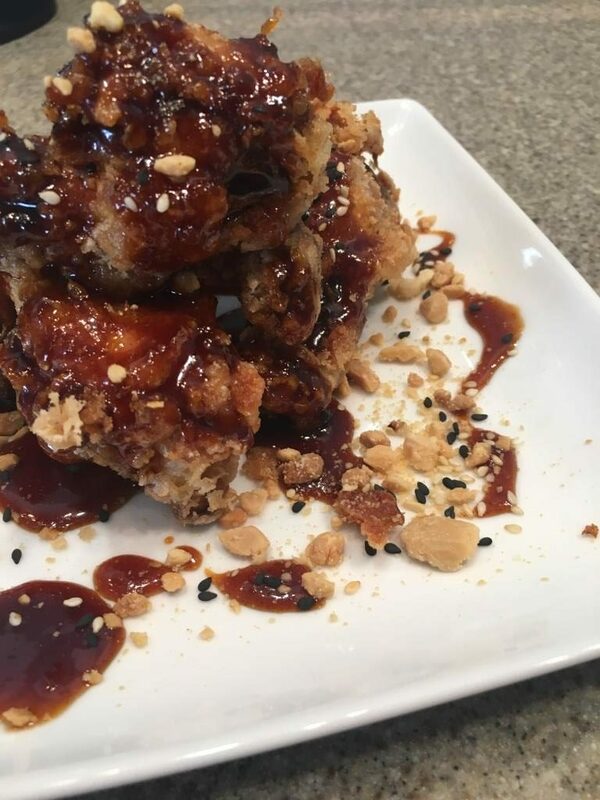 Thankfully, it was just a light breakfast, because there would be a lot of food throughout the day – Korean fried chicken, Korean dumplings and bibimbap. The school takes care of everything for you (especially the dreaded washing up) and you’ll even get to have a glass of wine or two with each dish (or non-alcholic options, of course). The format of the class is a demonstration from one of the chefs, followed by class participants teaming up to copy them, while following the detailed recipe sheet provided. Each dish was broken down into small parts, meaning anyone who isn’t a keen or experienced cook can follow along with ease. Once we had consumed (read: inhaled) our chicken, we were ready to move onto the next dish – tofu dumplings. I’m not a huge fan of tofu due to the texture, but we used the silken, creamy option, so I enjoyed them immensely. 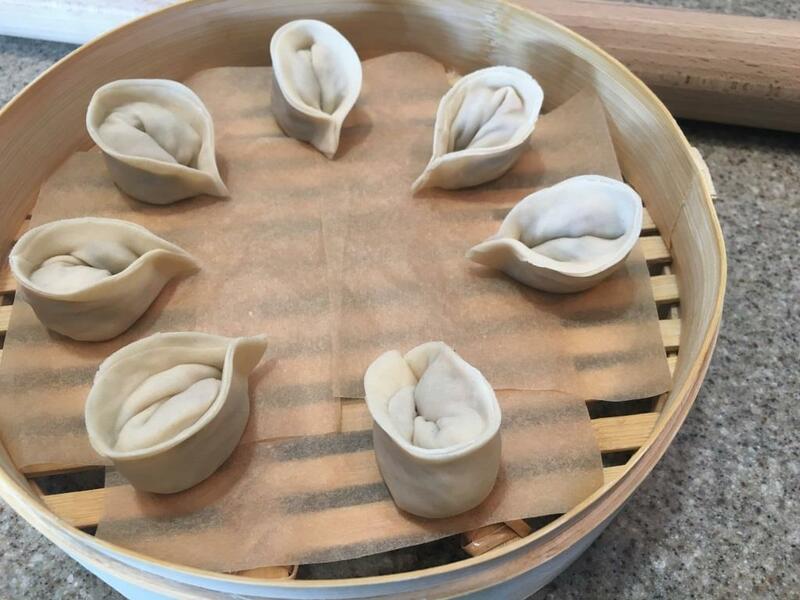 After a detailed demonstration from the chef, we made dough for the dumpling ‘skins’ and then rolled them out until they were paper thin. As you can see, they worked a treat and I was impressed with my own efforts. 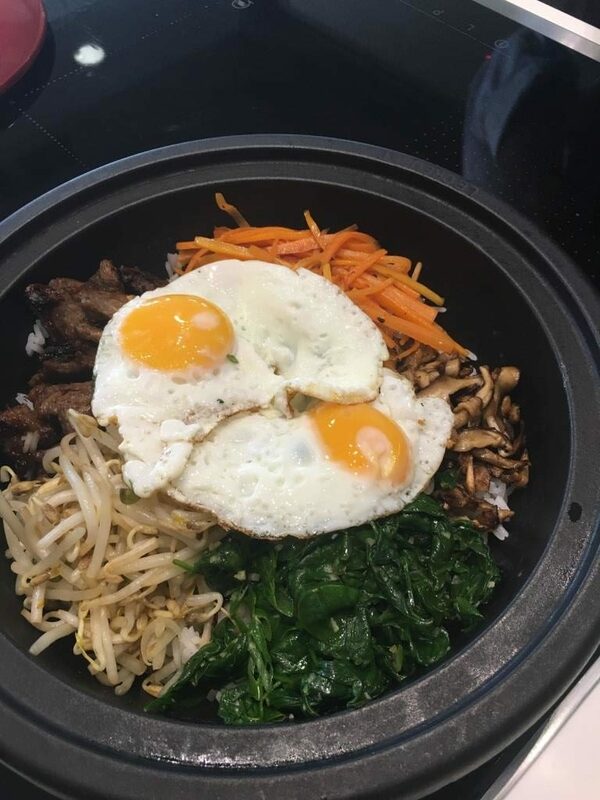 After plating up and eating our dumplings, it was time for the last course of the day – the famous Korean rice dish, Bibimbap. We’d already marinated the beef for this dish earlier in the day, so it was just a matter of cooking the rice and preparing the vegetables. This was a fun team exercise as we needed to split up our roles to ensure we got everything done with the right timing. We then went on to share this massive bowl of food to round out our very busy day. I enjoyed the Waitrose cooking class and their kitchen facilities are excellent – good quality equipment in a bright clean kitchen means you spend all your time thinking about the food, not about everything else. Waitrose Cookery School offers a range of cooking classes developed by their chefs. 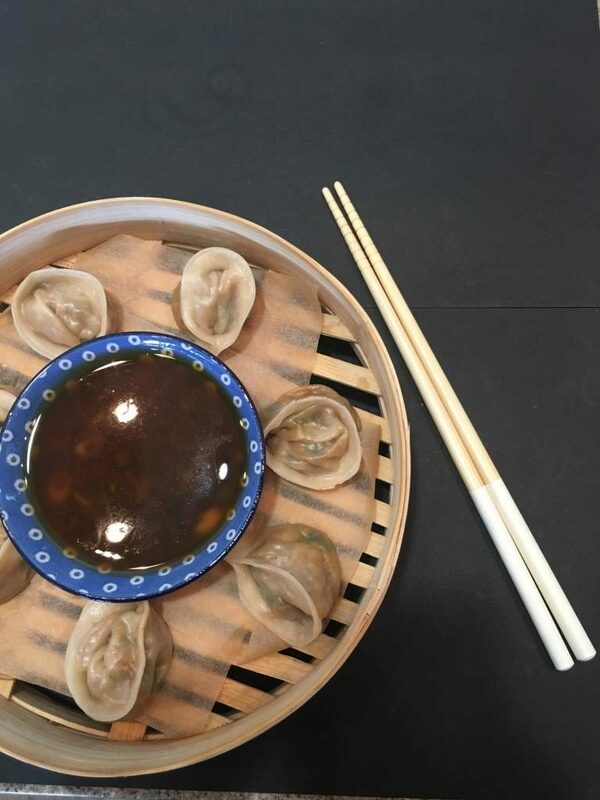 You can attend a short evening class focusing on one dish or a full day class with a number of dishes, so you can try your hand at everything from Korean to Italian. Class prices range from £50-£100 per person. I can highly recommend making a day of it, so you can relax, eat good food and learn something new. The classes are very popular however so it’s important to book in advance. Find out more on the Waitrose website. Many people know Salisbury because that’s where you’ll find the famous Stonehenge – probably the most well-known prehistoric monument in Europe. With visiting the stones and looking through the visitor’s centre, you’ll need at least two hours to make the most of your time there. Stonehenge is very popular and many people have written about it before, so I won’t go into detail, but it’s a must-visit if you’re making the most of travelling in the UK. 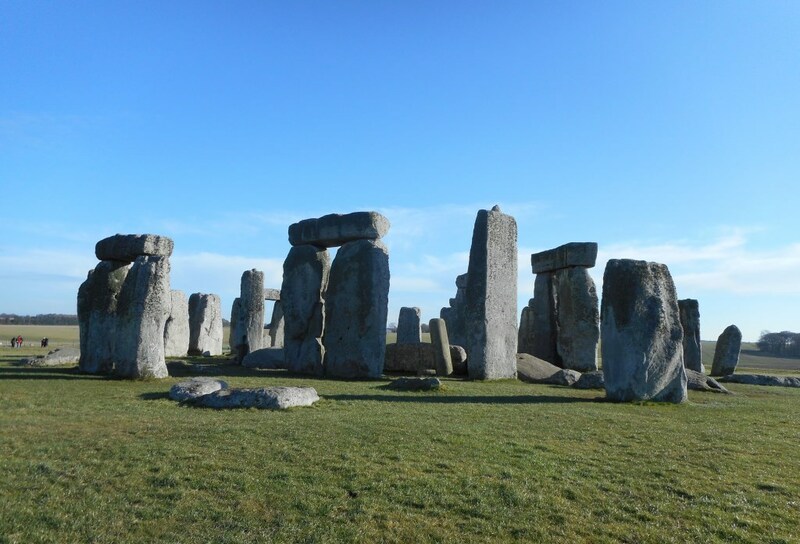 Stonehenge is run by English Heritage, so if you’re a member you can visit for free. If you’re not a member, it’s £17.50 per adult. Find out more on the English Heritage website. 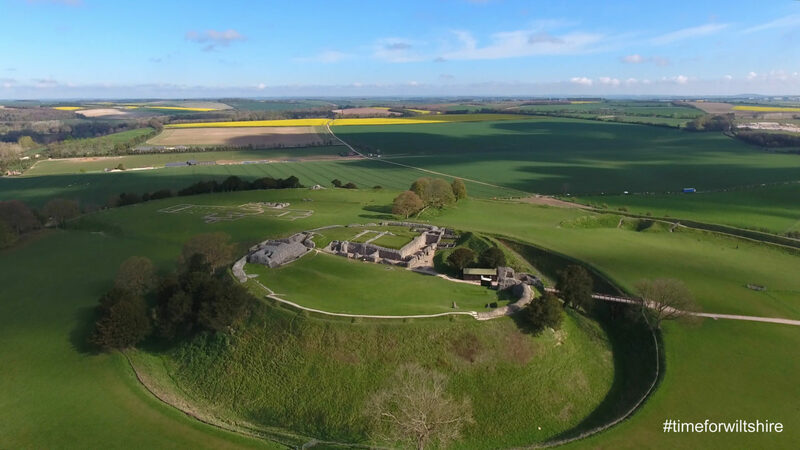 Old Sarum is a lesser-known site in Wiltshire, but if you like history, you need to add this to your agenda and head there after Stonehenge; it’s about 15-20 minutes in the car. It has a fascinating history, starting as an Iron Age hill fort before the Romans came along and later would be the original location of Salisbury Cathedral. You’ll need a minimum of two hours to see the main aspects, but if you have more time, it’s worth it. Old Sarum. Photo courtesy of Visit Wiltshire. The Old Sarum site is also run by English Heritage so entry is free if you’re a member. If you’re not a member adults are £5.20. Find out more on the English Heritage website. You may remember one of my recent posts, where I detailed the beautiful things you could see and do while exploring the Salisbury city centre. 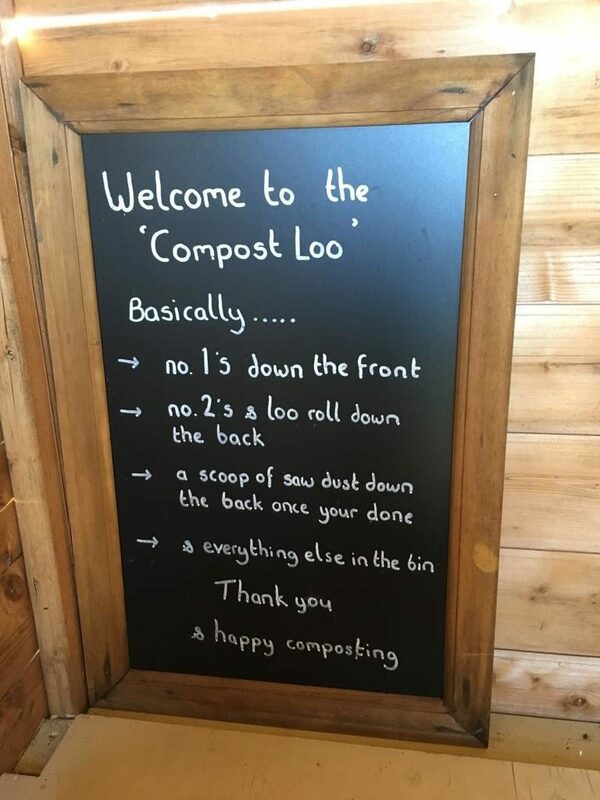 So to really make the most of your time in the area, have a read and add a few things to your itiniery. Relax in Salisbury – pin for later! Make the most of the amazing Salisbury and plan a long weekend. I can highly recommend taking in the historical sites and taking the time to relax and revive. Disclaimer: I was a guest of Visit Wiltshire, but as always everything I’ve written is my own opinion.